Civil engineering and community are inextricably linked. 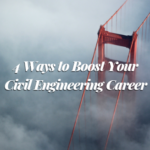 So it just makes sense that there is a community for civil engineers. 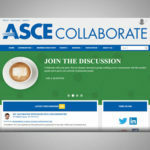 ASCE Collaborate is that community – an online meeting place for ASCE members to compare notes, trade lessons learned, and share perspectives. 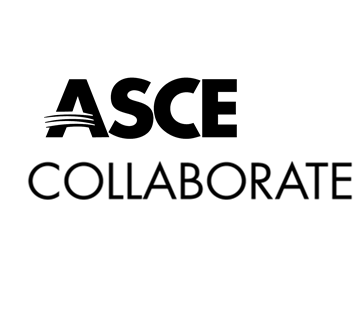 And like any strong community, ASCE Collaborate thrives thanks to its strong leaders. The six new topic moderators add value to the discussions, boost the body of knowledge, and nurture the Collaborate community. 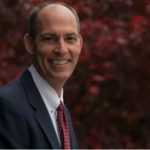 I believe that engineers, and for that matter any professionals, benefit greatly through interactions and discussions. The process helps them learn to refine their knowledge by sharing experience and insight. I think ASCE Collaborate has given engineers that opportunity. When I first started working in the early 2000s, the internet was just taking off and discussion groups for civil engineers didn’t exist. I had to navigate many things on my own, especially nontechnical career development, because I didn’t have anyone to ask. An interaction with one mentor or one person can change the course of someone’s career. 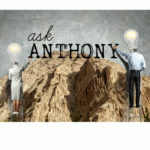 On Collaborate, my goal is to ask good questions to spark a dialogue between two people who may not have connected before. I mentioned earlier that contributing to Collaborate was important because one interaction can change your life. That happened to me in college, and it’s the reason I became a structural engineer. I was struggling with picking my college major – in my second year of college! – and had already switched from biochemistry to computer engineering (where I hated my C++ programming class). For exercise and stress‐relief, I often played tennis with a friend majoring in engineering. He came to play one day straight from his last class, and brought a miniature building model. I looked at the model and asked him in which engineering class he was building models. The rest you can say is history – I went into architectural engineering, and specifically structural building design. I’d always been fascinated by buildings (but do not consider myself artistic, thus ruling out architecture). I liked math, science, and writing. I didn’t realize you could combine them into a career until this one interaction opened my eyes. Its down-to-earth presence in serving the public at large, yet outliving almost everything else. Since my first project, a stadium, nearly half a century ago, there has been so much change in the world: its leaders, ideals, fashion, consumer goods, nearly everything; but that stadium continues to host the masses, one generation after another. It gives me quiet and deep satisfaction to see that the projects I worked on are part of the landscape and infrastructure of so many cities around the world. Some projects were large enough to involve heads of state, and one that I know of was presented proudly on a postage stamp of a country. 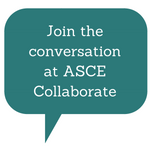 Join the conversation at ASCE Collaborate.